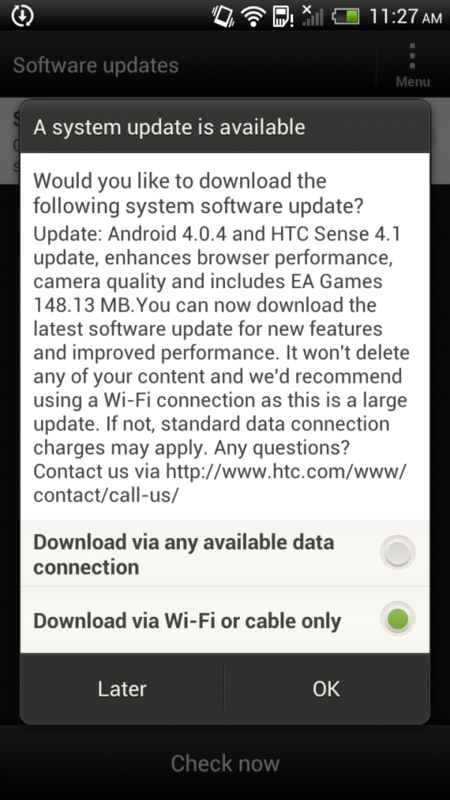 On August 10th, the HTC One X International (Tegra 3) started getting pushed an update which brought the core Android version to 4.0.4 and also made changes to the task switcher button, similar to what we saw with the AT&T One X earlier in the month. For customers in Europe, that update started rolling out immediately, but it took a while longer for it to hit US customers with the Tegra 3 variant, and we finally got our update push on August 24th, followed by a corresponding update to the International One S on the 25th. 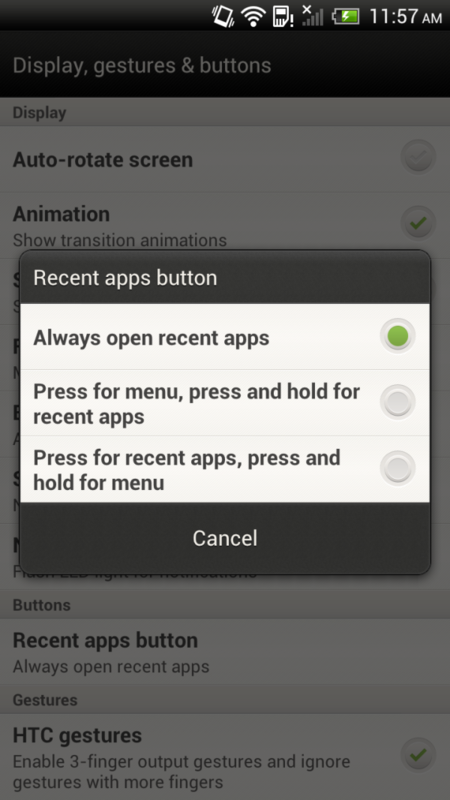 Other than updating Android to 4.0.4 and HTC Sense to 4.1 on both platforms, the biggest user experience change is the addition of a menu option which enables users to switch between three functions for the menu button. Users can either leave it how it is and get the task switcher on a press, or choose between long press bringing working like menu, or long press working like task switcher. The appropriate mode also makes the maligned black menu bar with action button go away. The HTC One X (Tegra 3) update notes include mention of improved camera and browser performance, the One S (International) update also includes mention of further improved WiFi performance, which again is the WiFi baseband onboard MSM8260A. I included screenshots of the other relevant version details (kernel, baseband, etc) in the gallery above. To test how much browser performance has changed, I ran sunspider on the One X (Tegra 3) again. My previous numbers are from runs on the previous version, to the best of my knowledge. A number of users on twitter asked me to test battery lifetime and see whether it has changed at all. My initial reaction was that if it was substantially improved there would be a note in the brief changelog. Interestingly enough it does seem improved. I ran the battery life test multiple times to be sure, and that 10% jump is definitely not imagined. Interestingly enough sunspider performance doesn't change at all (we're basically seeing margin of error here) so it's possible HTC was alluding to a performance boost from other previous versions. Either way, it's good to see HTC updating the international platforms of their flagship One X and One S handsets, and hopefully their Android 4.1.x updates are coming shortly as well. This is especially important considering Samsung is already leaking plans for updating the Samsung Galaxy S 3's Android 4.1 Jelly Bean updates. 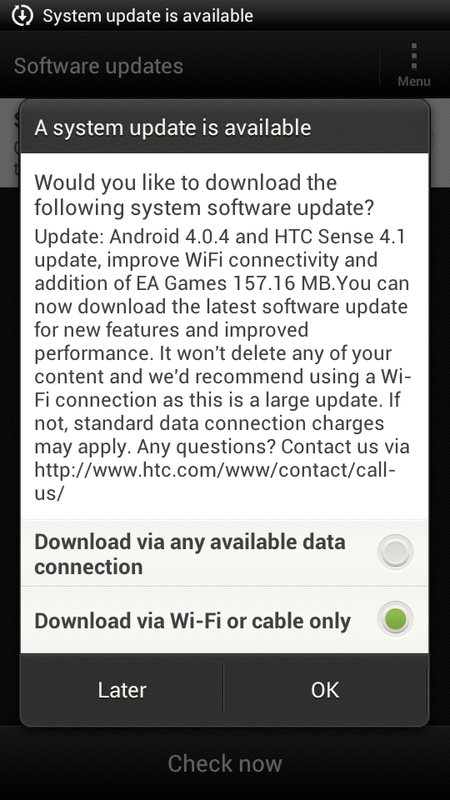 There's also no word on the T-Mobile HTC One S update at this point.